The Arabella was part of a fleet of eleven sailing ships under the rule of Governor Winthrop. 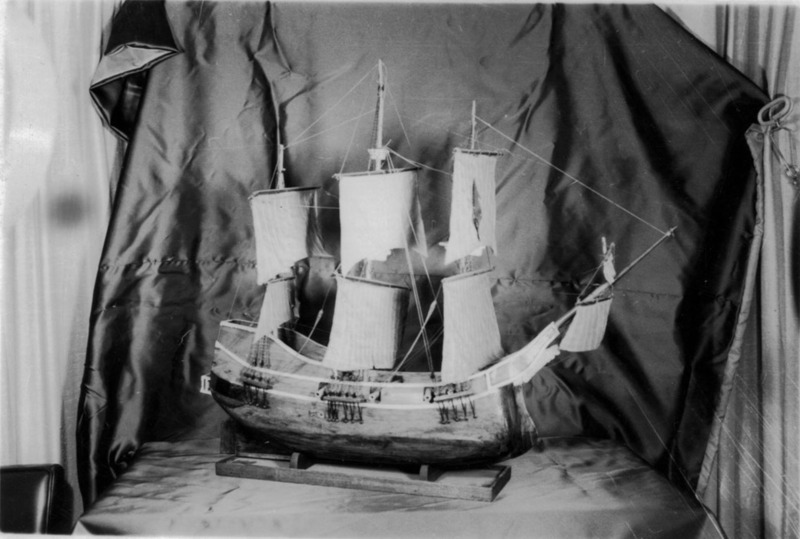 “Model of the Arbella,” Digital Public Library of America, http://dp.la/item/5e286ecaefc93007394b91ff4b1bc275. Courtesy of Watertown Free Public Library via Digital Commonwealth.